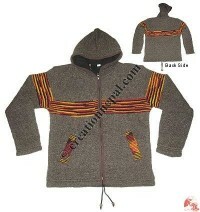 Our hand knitting woolen jackets, sweaters or vests for men are exclusive items for the cold winter season. 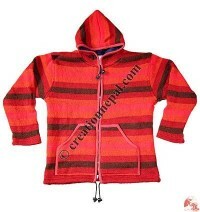 Creation Nepal's woolen jackets are available in different color combination, patch-work and different sizing. 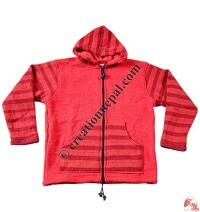 We manufacture and wholesale export of hand knitting Nepalese woolen clothing at Creation Nepal. 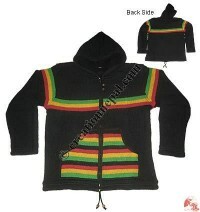 We have all kind of men's woolen jackets and Hand knitted Nepalese woolen sweaters for men. 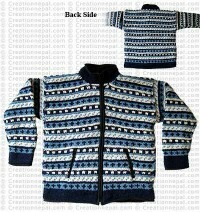 Our handmade woolen sweater for men are unique and beautiful and are available in various colors. 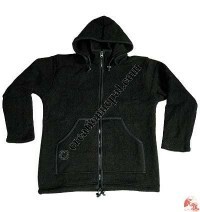 Nepalese woolen jackets and woolen sweaters for men are made of 100 % sheep wool and knitted carefully to maintain the quality of our handmade woolen clothing. 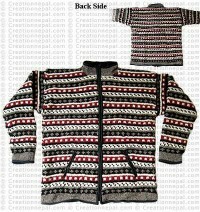 You can check us for woolen sweater, Nepalese woolen jacket, mens wool jackets, Nepal handmade woolens clothing, handmade woolens sweaters, Nepal wool cardigan sweater, Nepal wool crafts etc. 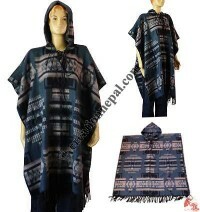 All our woolen Knitwear are hand made in Nepal by the skilled Nepalese women in Nepal at their home based business and are supplied by Creation Nepal under the fair trade norms. 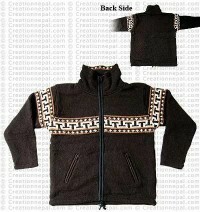 We also work on custom design and colors; we are working on more than 45 colors. 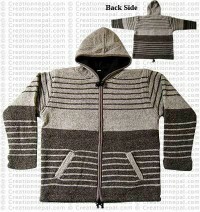 Inquire us for our wool color chart. 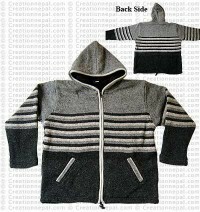 Most of our woolens men's jackets and sweaters are equipped with warm and soft polar fleece lining. 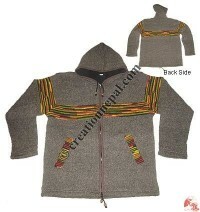 Creation Nepal manufacture woolen hand knitting men's winter clothes like woolen sweater, woolen jacket, Hemp patch-work woolen jacket, patch-work woolen jacket, tie-dye gents jacket, woolen hooded jacket, stripes woolen men jacket, Woolen hooded jacket, Woolen rollneck sweater, Woolen hand knitted jacket, Woolen high-neck jacket etc. 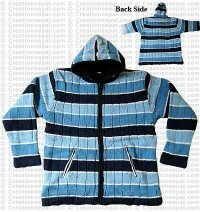 at wholesale price. 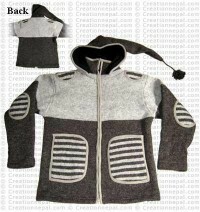 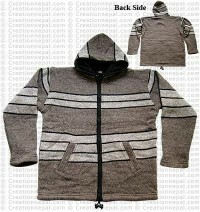 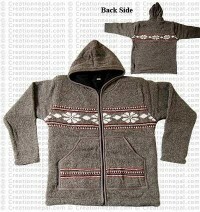 The woolen mens jackets and sweaters from Creation Nepal are also considered as unisex wear for the cold winter.